SlingPlayer for iPhone: Another One Bites The Dust? Sling Media's SlingPlayer Mobile for iPhone will arrive this evening at Apple's iTunes App Store, according to company spokesperson Cathy Cook. The $29.99 SlingPlayer, which will work on the iPhone and iPod Touch, will stream via Wi-Fi connections only, not over the AT&T data network, which has had its problems managing bandwidth-hogging iPhone users. SlingPlayer Mobile lets you watch and control your home TV and DVR via a mobile phone, provided you own a "place-shifting" Slingbox Tuner. 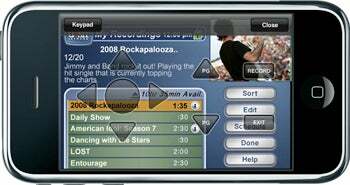 An iPhone version of SlingPlayer Mobile has been anticipated for some time, particularly since the app already runs on competing smart phones, including BlackBerry, Windows Mobile, Palm and Symbian devices. Stay tuned for PC World's complete review of SlingPlayer Mobile for iPhone, which is coming soon.